Sealed with a kiss! 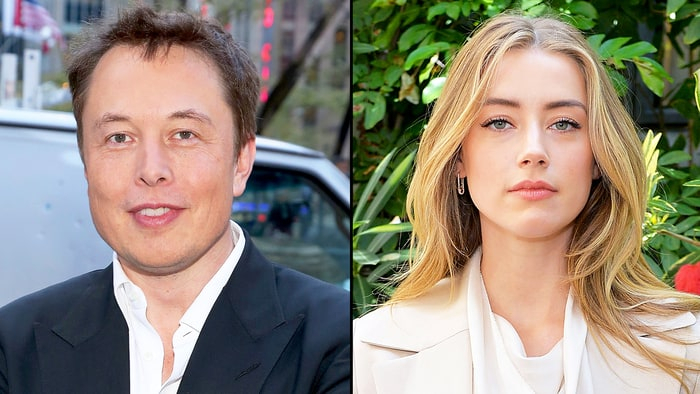 Amber Heard made her relationship with Elon Musk Instagram official on Sunday, April 23. The 31-year-old bombshell shared an image of herself enjoying a romantic dinner with the Tesla billionaire, where she’s wearing bright red lipstick and he’s sporting a kiss mark on his cheek. Heard’s arm is casually draped over Musk’s shoulder and she’s holding the stem of a glass of red wine in her other hand. Musk, 45, shared a similar snapshot and revealed they were dining at the upscale wine bar and grill Moo Moo on the Gold Coast of Australia, where Heard is currently filming Aquaman. Earlier in the day, the pair had been spotted holding hands and ziplining at the Currumbin Wildlife Sanctuary. Although their jaunt Down Under marks their first public outing together, in July 2016 a source revealed to Us Weekly that the pair had spent the weekend together at the Delano South Beach hotel in Miami Beach. In March, they also reportedly accompanied one another to a screening of Al Gore‘s An Inconvenient Truth Sequel: Truth to Power in Palo Alto, California. Heard’s messy divorce from ex-husband Johnny Depp was finalized in January 2017, while Musk recently divorced his British actress wife, Talulah Riley, for the second time. He has six sons from his first marriage to Justine.